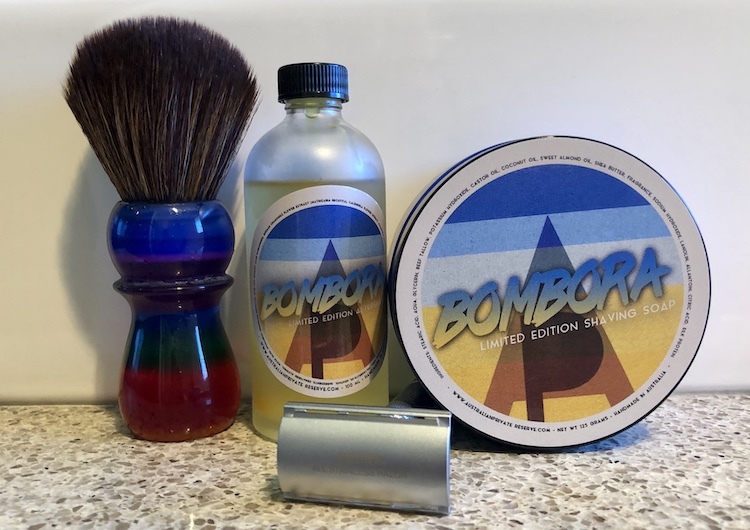 A Bombora kind of day in Sydney today! First run with the GC. 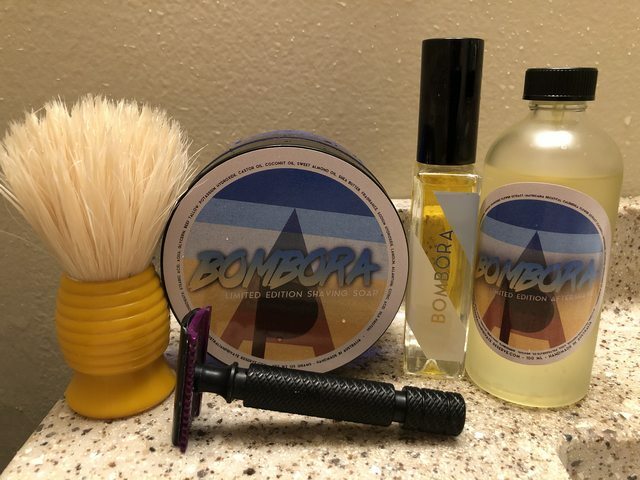 It's a beautiful looking razor for sure! It shaves well but is a little bitey. It's nowhere near as smooth as the Rockwell and miles away from the blissful comfort of the Karve. Is it a "game changer"? No!! 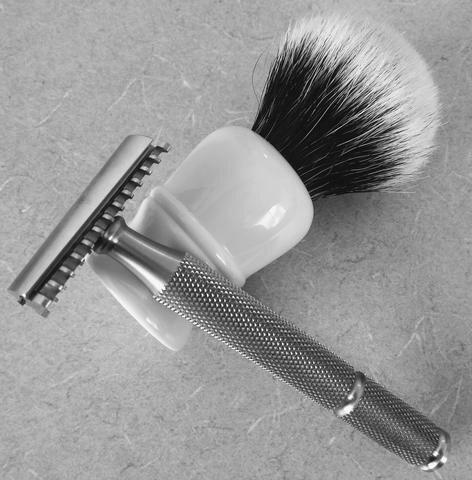 Perhaps the cost of this SS razor disrupts the SS razor market but with shipping, that aspect provided no benefit for me. Satsuma is a beautiful soap! 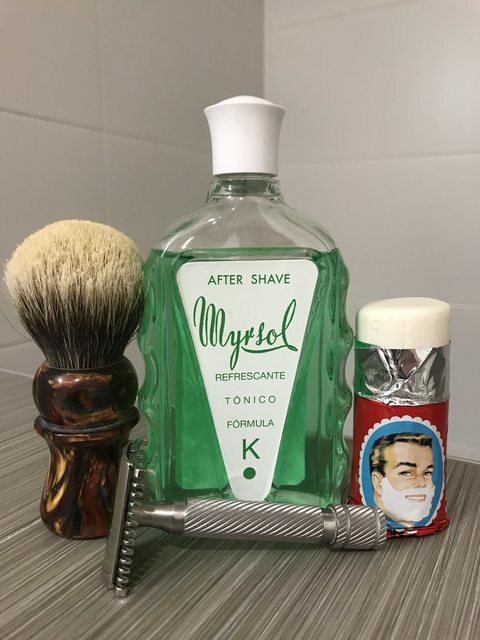 Really nice scent that lingers just ever so slightly after the shave. I believe you have both the GC84 and Karve...how would you compare the two? 12 days down, 16 days to go with the Arko, almost half way through! What if you mix it with one of your favourite soaps for the next 16 days? 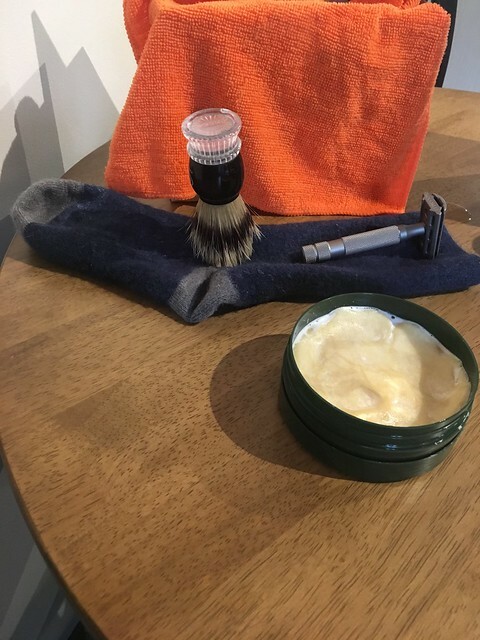 Everyone else is showing off beautiful SOTD shots and here was my weekend... stayed in a hotel that didn't have any face washers or any spare towels so I had to improvise. 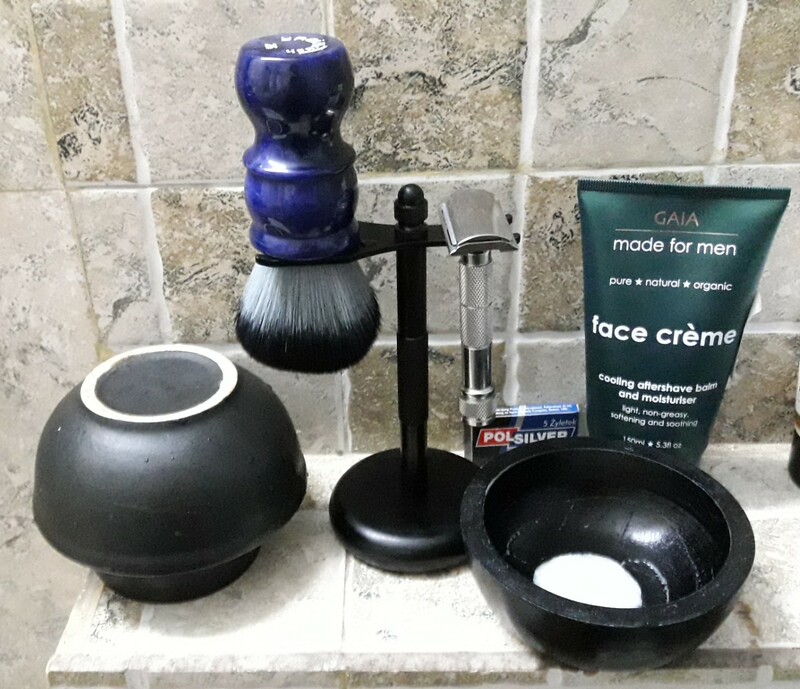 The "face washer" was a spare rag (still new and unused) that was intended to with my SES gear and a clean sock (luckily I packed a spare pair) was used to dry the brush and razor off so it could be packed away again. All in all a successful shave. Stay strong mate, keep running the race, think of the glory that is to come your way! 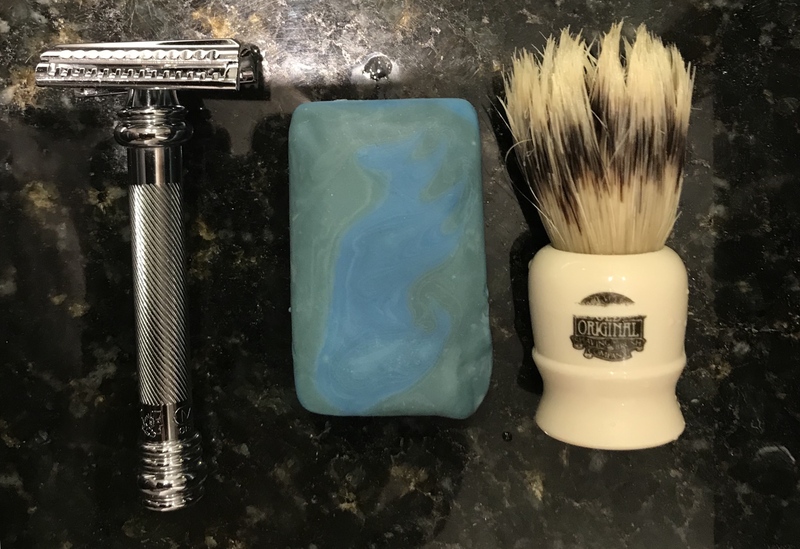 Today's shave is kind go grabbed between travel trips. I came to India thinking I was staying 3 days and I packed a straight just for the hell of it. When I got here the plans changed and I am only staying one day and then I am off to Korea tomorrow. 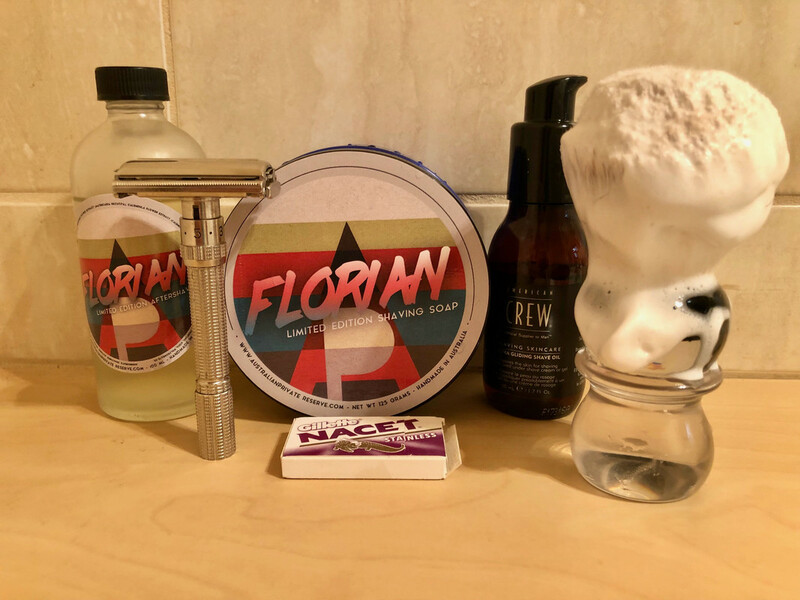 So it is a quick shave and then pack up again ready for the flight. 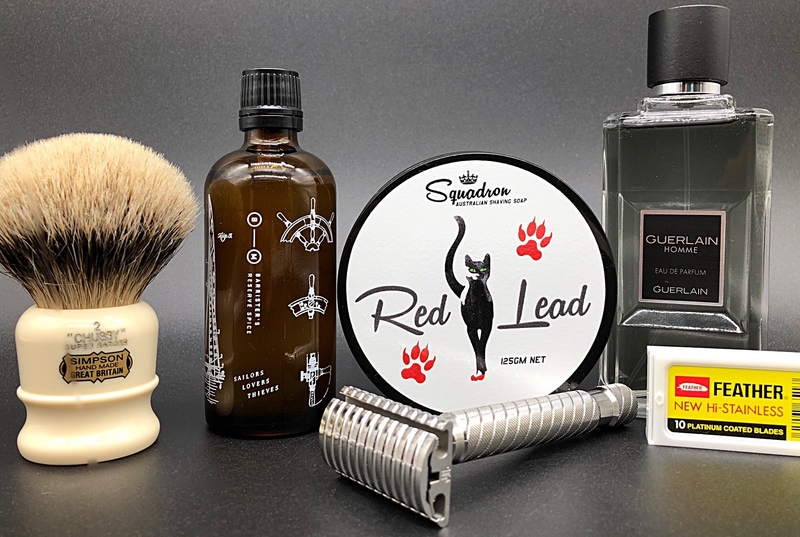 This is an unusual shave fro me in that I am using a synthetic knot - this is the FIRST time in two years of proper shaving that I have used a synthetic. So why not go big eh? This is called “The King” or the “King of Chub”. The brush is a doorstop, designed by my own good hands and machined to sheeny perfection. It stands about 50mm tall and is 47mm wide at the widest point. A true stubby chubby. The knot is a 30mm, yes you read that right, a 30mm synthetic set just deep enough to give is a whole lot of back bone. El Capitaine from Art razor in Ukraine. 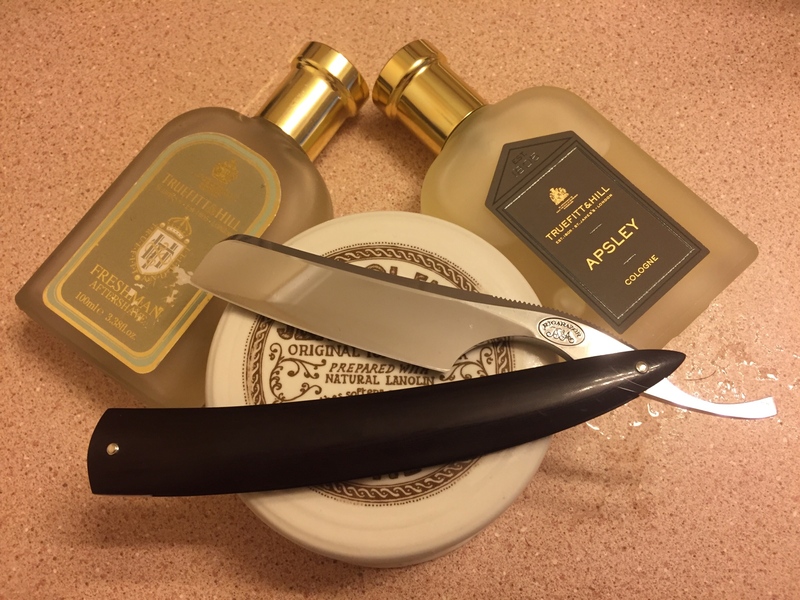 This is a beast of a razor with a fantastic edge, Yuri over at Art Razor sure knows what he is doing - if you have not got an Art Razor then get one… This one is an 8/8” near wedge and again is is AWESOME. Swedish carbon steel, great scales and perfectly polished. Please please PLEASE Crows nest start making soap again - we need the Jack Daw!! Skin wasn’t that happy yesterday with the Nivea shave cream so took a lead from Dove boy. 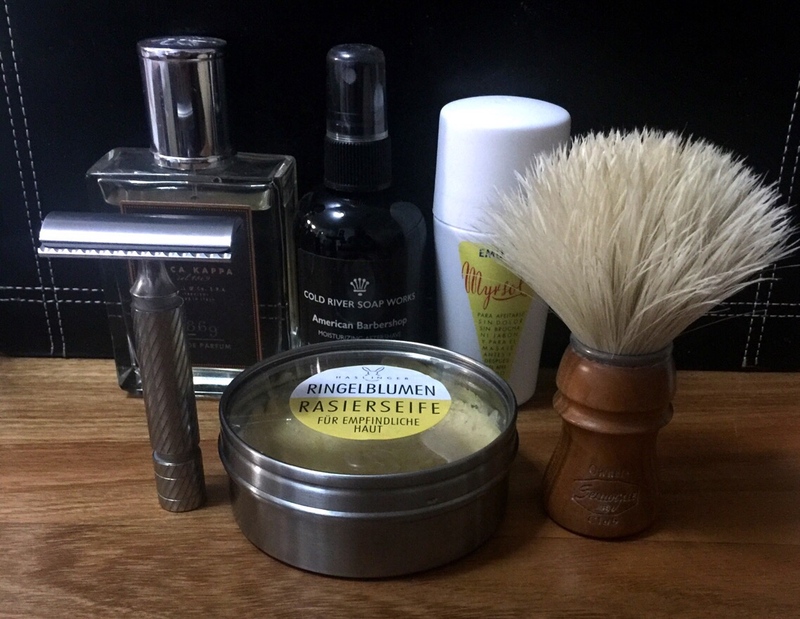 Lather unsatisfactory but still provided a very good shave without the irritation. Mission accomplished.